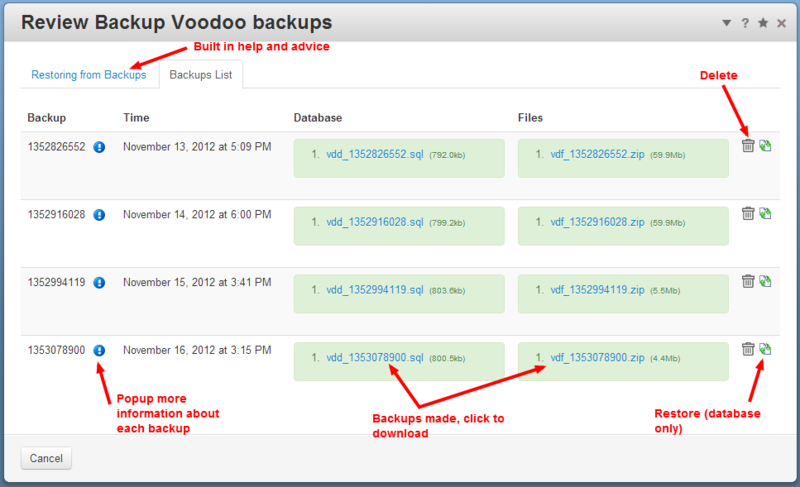 Backup and copy database and files for any site, no limits! 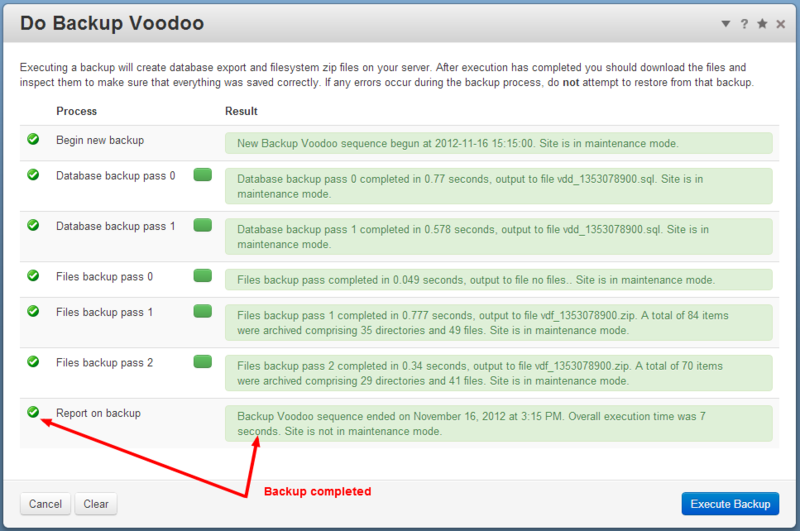 Backup Voodoo squeezes a backup of files and database for any concrete5 site into the server resources available. This is achieved by spreading the processing over a number of passes and reducing non-critical data. 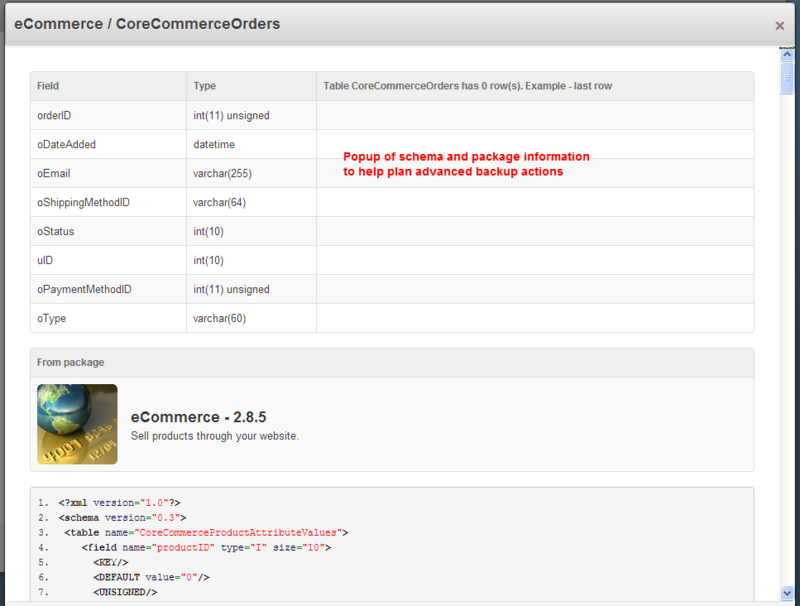 As a site administrator you configure how this is structured from the dashboard. 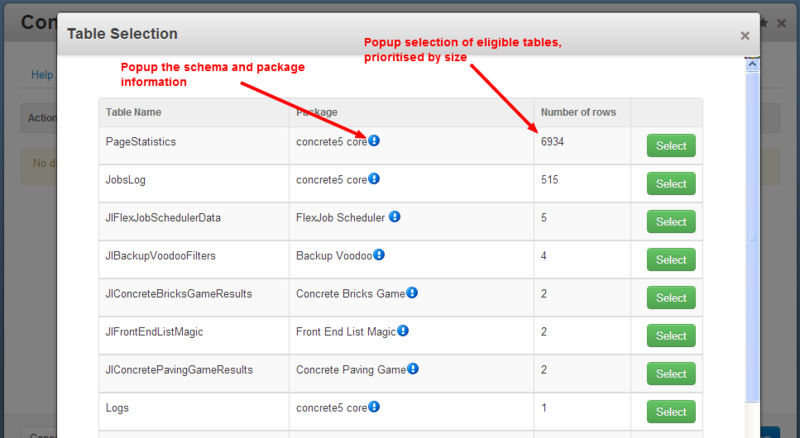 For typical concrete5 sites, the pre-configured Easy Start options load presets that will be all you need. 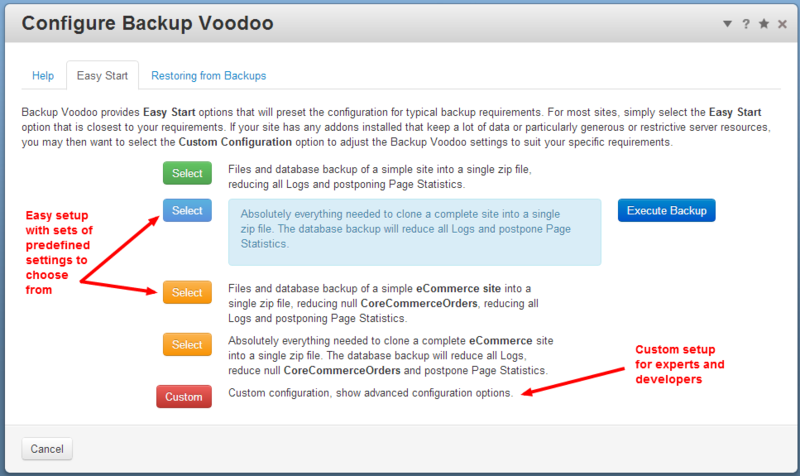 Simply select the Easy Start option that is closest to your requirements and start backing up. 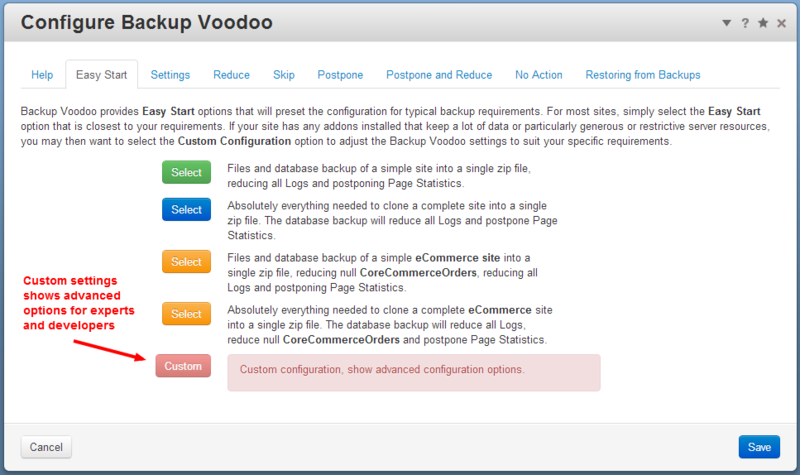 If your site has addons installed that keep a lot of data or particularly generous or restrictive server resources, Backup Voodoo will recomend Custom Configuration settings to suit your specific requirements. 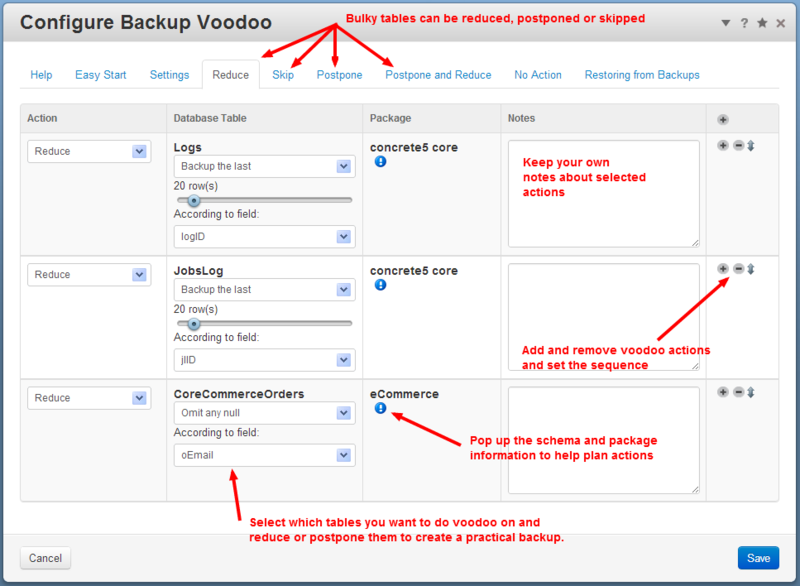 Backup Voodoo is supremely flexible, whether your site is big or small, simple or complex, on a dedicated server or a basic shared hosting plan, Backup Voodoo can back it up. 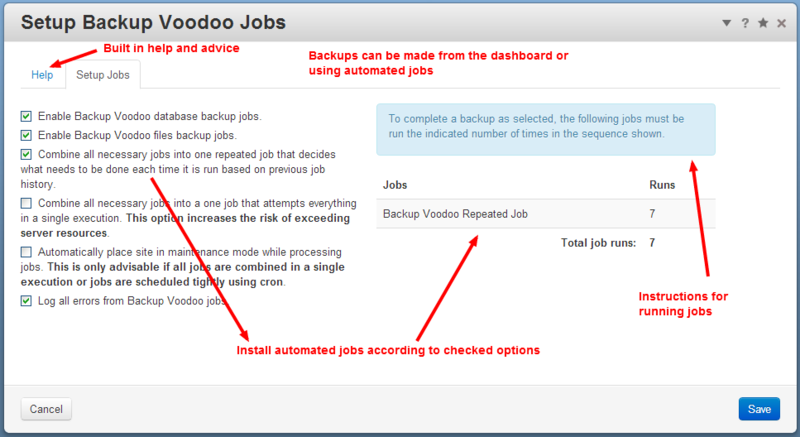 Run backups from the dashboard or as a series of jobs. 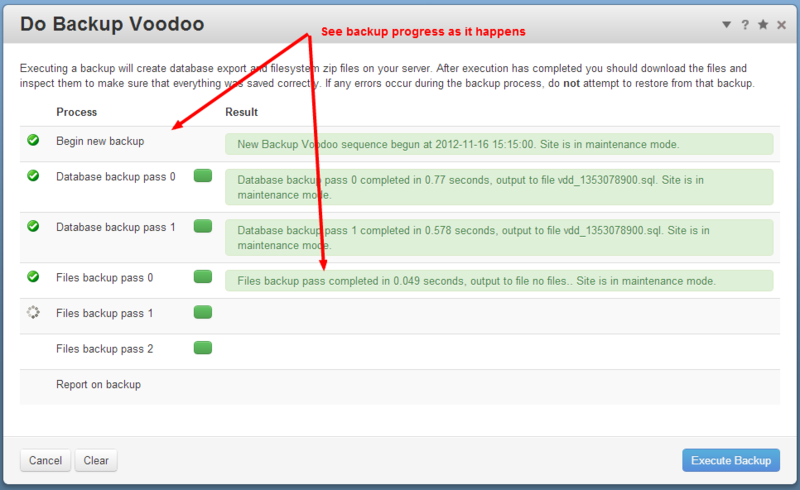 Optionally place the site in Maintenance Mode while making backups. Developed for the latest versions of concrete5, then back ported all the way to c5.4.1.1. For Windows developers, integrates with Database Case Sensitivity Migration. 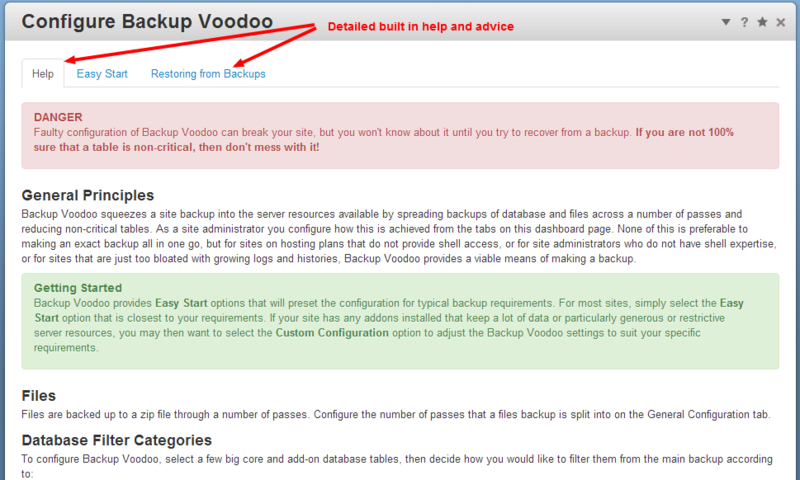 While Backup Voodoo includes a database recovery option, some site failures may not be recoverable without resorting to FTP and phpMyAdmin. Before purchasing and installing, plese read the docummentation. 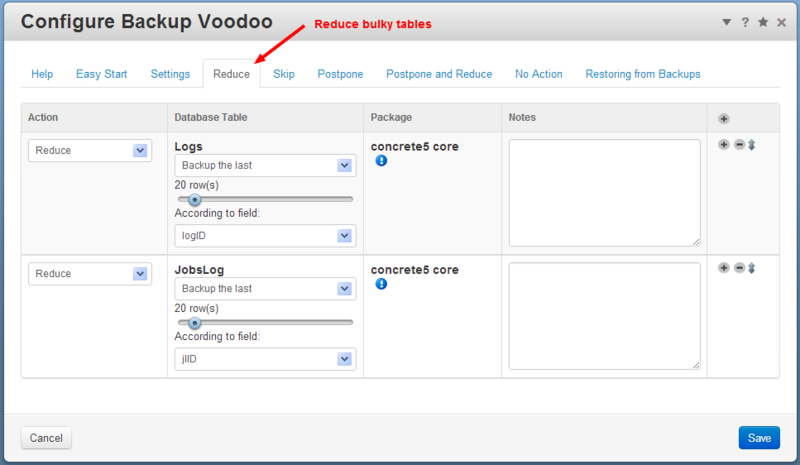 Support extends to installation and setup of this addon and correcting bugs within this addon. 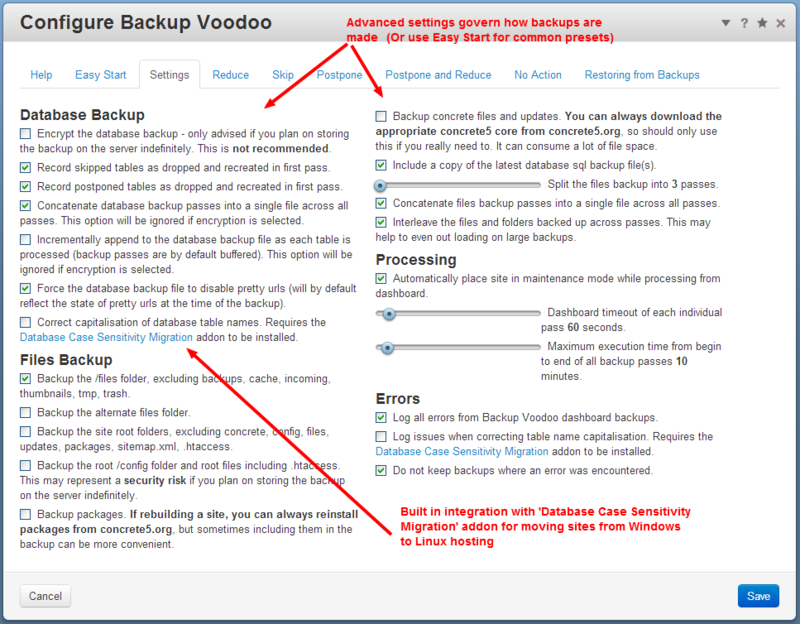 Support does not include free consultancy or assistance in restoring from backups or recovering failed sites. For help with such, please see the concrete5 forums.